Due to continuous demand from the people who matter the most, our customers, we have introduced our most recent addition… Hybrideck privacy screening. 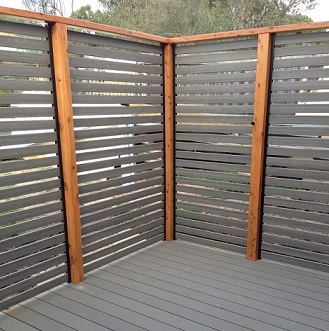 Now you can match your composite decking boards with an equally good looking Hybrideck composite screen. Hybrideck composite screening comes in 69mm x 19mm and is face fixed with either Hybrideck wood composite screws for timber fixing or Hybrideck wood composite screws for metal fixing. Available in our “always stocked” colours of Red Brown, Cedar & Mid Grey. 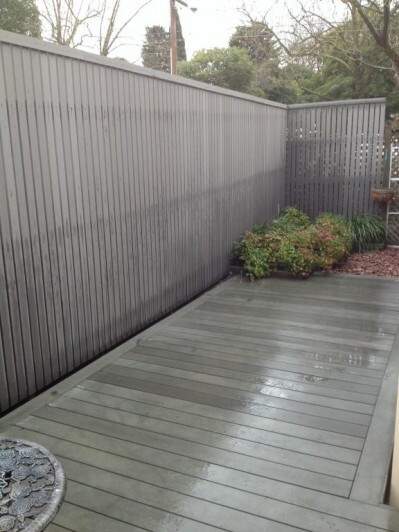 Exactly the same colouring as our composite decking boards so its the perfect match! Please contact us if you need advice regarding your new composite screen for your home or business.